WHY? : In AWS Simple Storage Service(S3), you can user versioning to keep multiple versions of an object in one bucket. For more info about object versioning, click here. Using MFA-protected S3 buckets will enable an extra layer of protection to ensure that the S3 objects (files) cannot be accidentally or intentionally deleted by the AWS users that have access to the buckets. NOTE : Only the bucket owner that is logged in as AWS root account can enable MFA Delete feature and perform DELETE actions on S3 buckets. – Configure AWS CLI with your own access details. – MFA device should be assigned for the IAM User . NOTE : Enabling MFA via AWS Management Console is not currently supported. To determine if the selected S3 bucket has object versioning enabled, use this command. If bucket versioning is not enabled, then the above command will not return any output. NOTE : MFA delete works on Versioned S3 Buckets, So best practice is to enable these two features (Bucket Versioning ane MFA) at the same time. 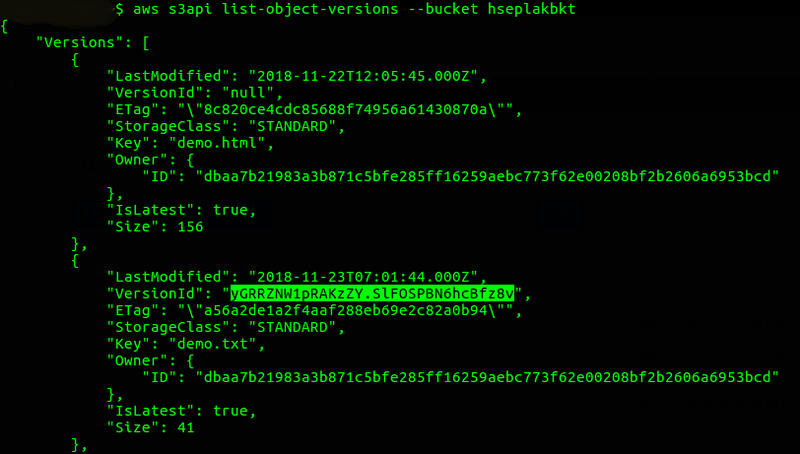 Check whether S3 object versioning and MFA delete for selected bucket have been successfully enabled.- aws s3api get-bucket-versioning –bucket Bucket_NameIt should give output something like this. Try to delete the selected S3 object version with MFA authentication, but with other user.- aws s3api delete-object–bucket Bucket_Name–mfa ‘arn:aws:iam::aws_account_id:mfa/root-account-mfa-device passcode‘–version-id Version_ID–key Object_NameYou can delete the bucket objects using root access ONLY. Using other user will return NotDeviceOwnerError. Now, try to delete the selected S3 object version with MFA authentication of root user. We have seen how to add an extra security layer to the S3 objects by enabling MFA for deletion of S3 objects. You need to ensure that all objects that will be in the bucket are right to be considered permanent.